Thank you so much for the wonderful response to my shop update!!! It's been a success! I'm so excited today because I saw the trailer of one of the most expected (by me!) movies ever! "Where the wild thing are"... I was expecting to see the monsters so much and I'm not dissapointed! They're great! Just as the ones Maurice Sendak drew... And as far as I know, they're real!!! Another of my favs lately? Coraline!! I know, I know... that is not longer at the movie theaters but I'm desperately waiting for the dvd!... can't wait!! I saw it twice (and I'm going to watch it again many, many times!). It was a feast for my eyes! All those wonderful little characters!!! I hope you didn't miss the opportunity to watch it on 3d! And the other I saw that just made me laugh and laugh and laugh... Monsters vs. Aliens.... go watch it if you have a chance, you won't regret it! Sounds like some great movies. Thx for sharing. Have a great time watching them. "A feast for my eyes" I could not describe it any better than you just did! 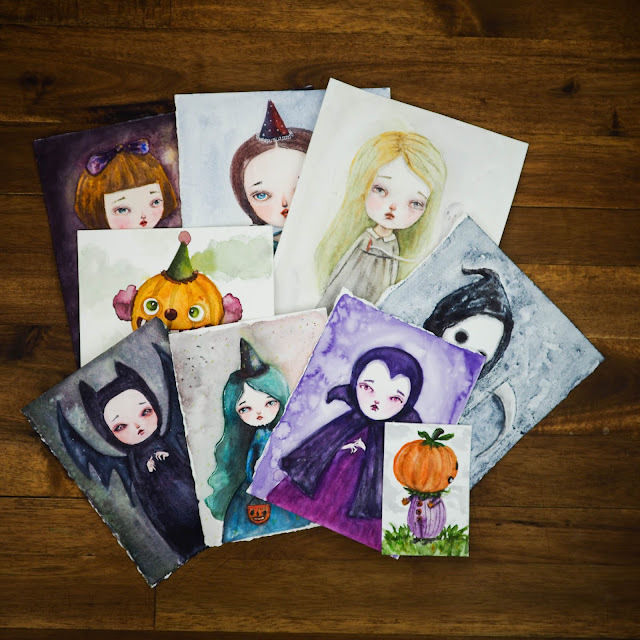 I am obsessed with Coraline! I DID get to see it in 3D and I haven't been right ever since! Visit my blog and scroll down. Pam from "Living la Vida Pintada" painted the most amazing necklace & jewelry box and gave them to me! I am definetly going to own the DVD!! And when dvd's go outta style i'll buy it in the next new form of digital entertainment! That movie was dreamy! I have not seen Coriline yet but LOVED the book. I am a big fan of the writter. Neil Gaimen . Felicitaciones por el exito en tus ventas...me alegra mucho y te lo mereces...trabajas muy duro y tu arte es muy especial. 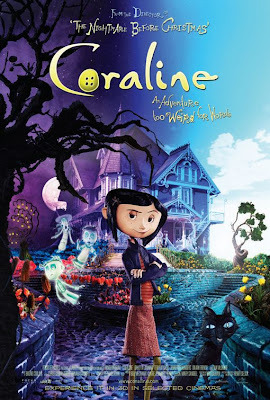 Coraline, me encanto tambien...queria ver tanto...que lindo es el arte...verdad? The autor of Coraline wrte a fabulous novel for kids titled The Graveyard- I loved it! Oh how I love "Where the Wild Things Are"! I still have an original print book and it is one of my most cherished tesoros(treasures)! Can't wait to see the movie. I love browsing through your shop, so pretty! No te resistas Rebeca!!! Compralas! Carolyn I think like you... after the DVD I'll buy whatever they sell to keep watching it! 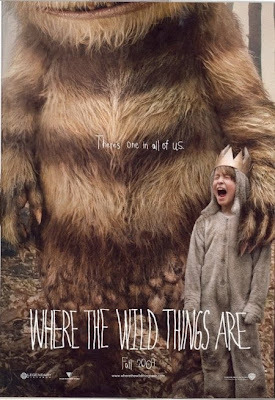 i didn't see the "wild things" movie but the other 2 i did & loved also! My daughter (who is 5) was scared in Coraline at the end, it was a bit creepy for her, but pure eye candy for me!! I can't wait to get the dvd to add to my collection.